Mini Lakes has officially registered a plan of subdivision and is providing residents the option to register a deed to the property their home is on. A lot of the people living in Mini Lakes have asked me my thoughts on whether or not they should follow through with registering a deed. As a purchaser, the answer is simple – you want to own the land. This however, can be a very tough question to answer for someone that already lives in Mini Lakes. There are arguments for both cases, but the one I hear most for staying on a lease is that nothing will change for a current resident if they spend the money to get a deed. I can’t promise how much it will cost now, but I can say quite confidently that the price to register a deed will only go up as time passes. A resident that doesn’t do it now, will certainly do it later because buyers in the future won’t accept leases if the majority of residents have deeds. I firmly believe that registering a deed and owning the land you live on significantly out weighs leasehold ownership. I can see 3 main benefits to owning the land as opposed to leasing it. Owners and prospective buyers will have more options to finance a purchase, or refinance the existing home. With leased land there are strict limits to the terms and conditions of loans and mortgages. There are very few banks and lenders that will consider loaning money for homes on leased land. In fact, there are no mortgage insurance companies in Canada that will insure a mortgage on a double wide mobile or modular home on leased land. When you own the land, that gives you and the banks more security. God forbid you loose your house, but for a bank, if you own the land they will be able to recover their losses. If you lease the land, the banks can only sell the structure that sits on the land. Owning the land will open up the door to a lot more lenders, which in turn will give owners and prospective buyers more options and effectively better interest rates and terms. There will be an increase in demand for Mini Lakes homes. Ownership of the land means more mortgage options with better interest rates and terms, which means more potential buyers. More buyers combined with better interest rates is the catalyst for higher demand, and therefor higher property values. Buyers will perceive a higher value for the home. If your property is one of a few that hasn’t gone to title ownership, it will essentially help sell all the ones that have. When a buyer is considering a purchase, they will evaluate all aspects of the home compared to others that have recently sold and that are currently for sale. They will certainly consider leased land as a negative for all the financial restrictions and potential risk that comes with it. 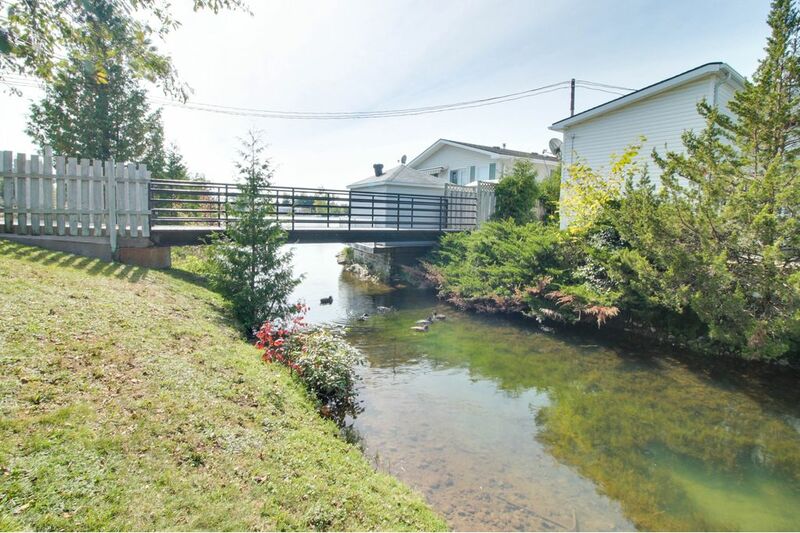 A good example would be how buyers view a home with gas as opposed to propane – Mini Lakes is at a point now that none of the homes with propane will sell without being converted to gas because buyers are demanding it. Especially when the buyer realizes that everyone else in the park has union gas. In a nut shell, it all comes down to this – a lease can be financially restrictive, and those restrictions significantly reduce the liquidity of the money you have in your home. The banks know this, and so do buyers. These factors suppress demand. If you own the land, restrictions are loosened and demand goes up. Your home will certainly present more value if you own the land it’s on. For a look at what the real estate market is like at the park, take a look at some of the homes for sale in Mini Lakes.